Vibrant Clean Cut Tape UNIVERSAL - MiataRoadster - Stay tuned with MiataRoadster! Vibrant Performance Clean Cut Adhesive Tape makes it easier to professionally cut braided flex hose with vurtually no fraying. Use only the White Adhesive Tape when cutting Stainless Steel Braided Hoses. 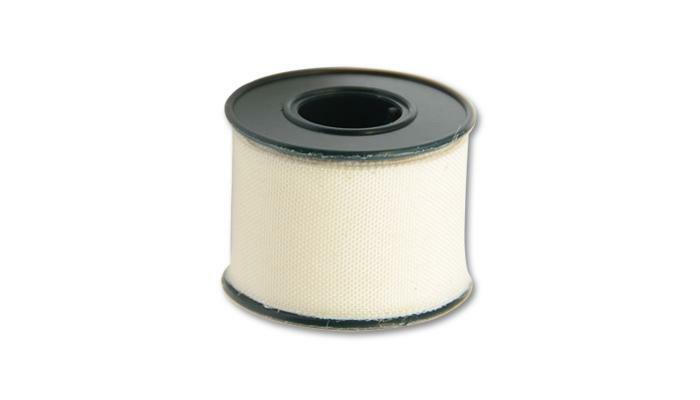 When cutting Nylon Braided Hose, you must first apply a wrap of clear tape, followed by an application of the white tape.